If you’re familiar with the sugar fermentation process you’ll know that any rotting fruit results in the make-you-clumsy chemical called ethanol, your every day alcohol you’d find in beer/wine/you name it. 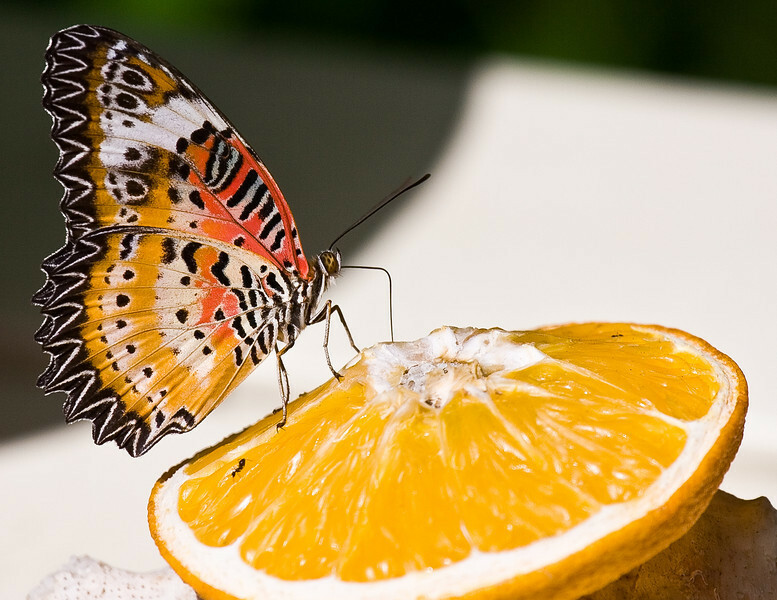 Butterflies sip on a large amount of very fermented fruit and fly off quite lazily and awkwardly. Yes, butterflies even like to get drunk.